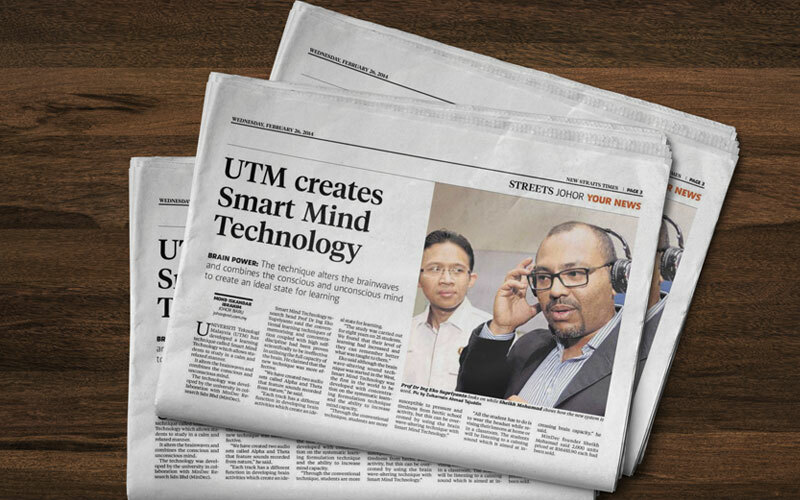 Johor Baru: Universiti Teknologi Malaysia (UTM) has developed a learning technique called Smart Mind Technology which allows students to study in a calm and relaxed manner. It alters the brainwaves and combines the conscious and unconscious mind. The technology was developed by the university in collaboration with MinDec Research Sdn Bhd (MinDec). JOHOR BARU: UNIVERSITI Teknologi Malaysia (UTM) has developed a learning technique called Smart Learning Technology which allows students to study in a calm and relaxed manner. It alters the brainwaves and combines the conscious and unconscious mind. The technology was developed by the university in collaboration with MinDec Research Sdn Bhd (MinDec). Smart Learning Technology research head Prof Dr Ing Eko Supriyanto said the conventional learning techniques of memorising and concentration coupled with high self-discipline had been proven scientifically to be ineffective in utilising the full capacity of the brain. He claimed that the new technique was more effective. “We have created two audio sets called Alpha and Theta that feature sounds recorded from nature,” he said. “Each track has a different function in developing brain activities which create an ideal state for learning. Brain Power: The technique alters the brainwaves and combines the conscious and unconscious mind to create an ideal state for learning. Eko said although the brain wave-altering sound technique was started in the West, Smart Learning Technology was the first in the world to be developed with concentration on the systematic learning formulation technique and the ability to increase mind capacity.